With his bestselling books Buddha’s Brain, Hardwiring Happiness, and Just One Thing, psychologist Rick Hanson has become the foremost explicator of the brain’s “negativity bias,” our evolutionary tendency as vulnerable mammals to be more or less continually on the lookout for danger, ready to fight or flee, and more likely to remember bad experiences than good. 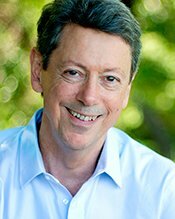 Integrating his background in neuroscience, contemplative practices, and positive psychology, he’s also become one of our foremost clinical innovators, focused on how to help clients have greater access to their inner resources and enhance their capacity for deep pleasure and savoring the moment. 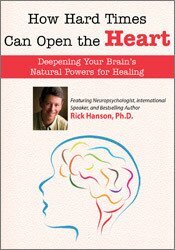 In his keynote address, Rick will focus on how our deepening understanding of neuroscience can enable us, even in times of great stress, to tap into five natural capacities of the brain that, rather than constricting us into fight, flight or freeze, can open possibilities for living fuller, more aware lives.